Structure is nothing more than a way of looking at your story material so that it is organized in a way that is both logical and dramatic. I recently started a new writing project and I know that the idea is bigger and more complicated than anything I have every done before. I knew that I needed to get organized or it was going to be a complete mess. Distinguished Author Nancy Lamb wrote about story structure in her book The Art and Craft of Storytelling. She reminds us that structure isn't a prefabricated box that you cram your story into. It is more like a flexible framework that helps you move through your narrative without losing your way. "Think of structure as a series of road signs posted along the journey of your story. Without it, narrative has no form and plot has no provocative way to move the reader from one moment to the next, from one scene to the next. The most basic element of structure is what we are all taught in school: every story has a beginning, middle, and end. Every scene has a beginning, middle, and end. But how these elements are dramatized, how they are conceived and shaped, juxtaposed and presented, is up to you. Storytelling rules aren't restrictions. In fact, a basic understanding of the rules frees you to you to do your job as a writer. Each author must approach the structuring of a story in a way that feels comfortable to him or her." There is no perfect way to fit the pieces of a story together. We have to plan and experiment, fall down, get back up, fall again, and get back up again, before we settle on a way that works for us. The most important thing is that we keep going until we get it right. 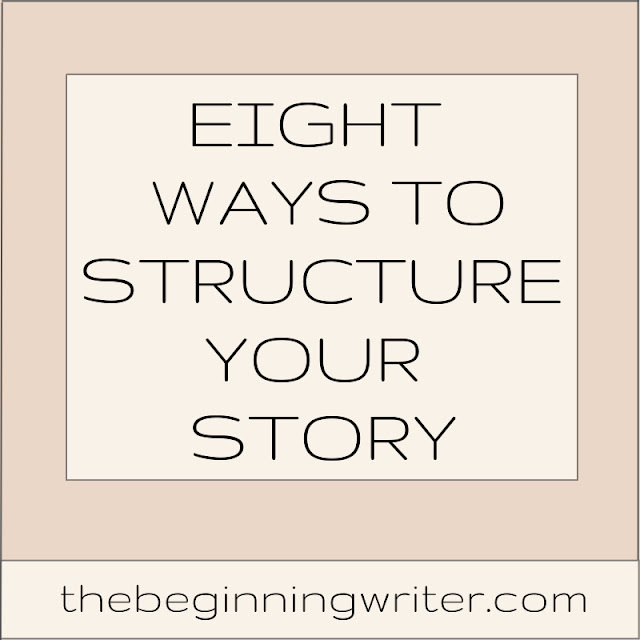 With that in mind, Nancy Lamb has provided us with eight ways to approach structuring our stories. The most fundamental way to look at story is as a narrative with a beginning, middle, and end. Formulate what each of these means to the plot and how they relate to each other. Then write your story. In the beginning, define what your hero wants and why he wants it. In the middle, create the obstacles the hero must overcome in order to accomplish his goal. In the end, resolve the situation in a believable and logical way. Once you've settled on these fundamentals in your own mind, build a story around them, expanding each section and enlarging each plot point as you move through the narrative. Make a few notes on your characters and scenes. Get a firm concept in your head of what your book is about. Then take a deep breath and begin. Here's your winging it, allowing one situation to lead to the next that leads to the next. There's not much advance planning but there is room for spontaneity. For most authors, even seasoned ones, this is a risky way to write a book. The open-ended approach makes it too easy to stray from a well plotted story path. That said, there's no question that this method works for some people. Playing as it lays is analogous to walking down a dark and unfamiliar read using only a tiny flashlight. You can't see very far in front of you but if you focus carefully on the business at hand, it's possible to make it all the way to the end of the road. In this approach, begin by putting your hero in the opening situation and presenting the opening complication. Then let your characters do the talking and your imagination do the walking. Break your story into manageable segments that remove the intimidation from the task. Establish the primary story elements of beginning, middle, and end. Once you've done this, envision your narrative as an ongoing, interconnected chain of scene and sequel. One action causes a reaction that causes another reaction and reaction. Step by step, scene by sequel, you construct one progression after another, shaping a story, from simple to complex, with these basic building blocks of plot. What is the logical sequel to this scene? What action does this scene trigger that leads to the next scene? How have I planted the hook to pull the reader into the next scene? What has my hero done to move the story along? What does this scene contribute to the larger context of the book? Although your outline is an integral part of the structure, you needn't consider it a fixed entity. Don't be afraid to make changes or explore a new possibility when characters lead you down a different path. Before you write the book, break down each chapter into a basic outline form, noting which characters and situations are involved in each chapter. You don't need to be too detailed. The purpose of the outline is to provide a map for you to follow and give you an overview of the book. Furthermore, it's not necessary to plot out every twist and turn in the road; some of the most interesting journeys involve sudden detours and unexpected encounters. Even as you follow the map, make every effort to stay open to surprise. Develop a detailed chapter-by-chapter diagram of your book, creating a visual map for you to follow. 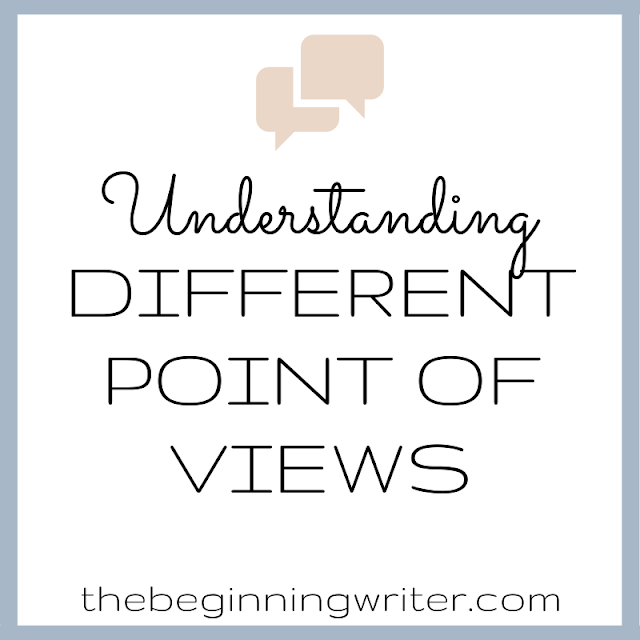 Once you grasp this overview, you'll have a stronger picture of what is happening in your story. When you see those places where you have dropped a plot stitch or where one character hasn't appeared in a while, you can pick up the thread before you move on. I began writing my first novel without a plan. But it soon became evident that I needed a structural guide for my loosely conceived story. With the help of a friend, I constructed a running chat of my book, laid out and organized on shelf paper. A lengthy visual aid, to say the least. But it worked. First I divided the paper into chapter sections with a vertical line. Then I did the same with the characters, plot, and subplots in horizontal lines that intersected the chapters. I then marked down the appearances of the various characters in different colored inks throughout the grid. One character was blue. One was red. Another was green. I did the same thing to the plot lines, making notes here and there as reminders that I shouldn't forget to include these things in the book. When I finally rolled out the plot diagram, all twelve feet of it, across my living room floor and took a look at it, my entire novel was laid out before me in living color. In order to make sense of what was happening in the book, I strolled the length of my outline like a rancher checking the fence on the north forty. I looked for plot and character omissions. I examined my overlaps and excesses, most of which were immediately apparent after inspecting the chart. If there were no red and green or blue notations for two chapters, I could see that I had to remind the reader about this character or pick of the thread of that subplot. If the plot was dominated by one color, I re-examined the balance I had created between characters. This strategy can apply to fiction and nonfiction, short books and long ones. In fact, I've used variations on this approach for several of my books. Make scene-by-scene notes on 3x5 cards and arrange them on a wall or bulletin board. The advantage of this method is that you can change your cards around, add and toss others, without messing up your overall story. If a bulletin board is too confining, choose a door or a blank wall. Then use Post-it notes to define characters and create scenes. Not only do these notes come in different colors, they also come in different sizes. Take advantage of the variety. Color-coding characters and plot helps you clarify your story. Once you have the visual of the whole, you can see what character or theme or plot point is missing. Follow classical story structure of Greek drama from the inciting incident to the climax, to the resolution. Whether your're writing a story of a quest or puzzling through the challenges of an experimental novel, this method offers a time-tested way to formulate your story. Do your own thing. Consider all the different ways to structure your narrative, and then choose the methods your prefer. If you want to mix scene and sequel with a literary map, do it. There are no rules here. Your goal should be to find the combination that is the most effective for you, as well as your story. Which method gives me the most confidence in writing my story. Which method do I feel most comfortable using? Which plan allows me to move from beginning to end with the most ease? Which approach offers me the greatest chance in finishing my book?